For the most part this week, Chelsea fans have been largely distracted with the Champions League draw, which will pit the Blues against Turkish side Galatasaray. As discussed at length in a previous post, this is big news particularly because it will bring Chelsea star Didier Drogba—now playing for Galatasaray—back to Stamford Bridge, where he’ll certainly receive a warm welcome. It’s a thrilling pairing to say the least. However, in all the excitement of the Champions League draw and resulting speculation and commentary, some of the significance of Chelsea’s upcoming Premier League fixture seems to have been forgotten. The bottom line, however, is that the Blues are finally in position to make a move to the top of the standings in Week 17, thanks to a match-up with current league leader Arsenal on Monday the 23rd, at Emirates Stadium. With 33 points through 16 matches, Chelsea are even with Liverpool and just 2 points behind Arsenal for the league lead, which of course adds new weight to a match-up already teeming with history. You can track the live match on Monday at Betfair online. You can also view news, predictions, and updated odds as we inch closer to the match on that site. However, with a few days yet to wait, now is as good a time as any to take an especially close look at the match odds offered at this site and how they bode for Chelsea’s goal of reaching the top. For starters, let’s take a peek at the Liverpool match, where in all likelihood the favourite will pull through with a victory. Playing at home against the middling Cardiff City, Liverpool have a strong betting edge with 1/5 odds to win (next to Cardiff’s 16/1 odds). This of course means that Liverpool—in many ways the surprise of the League this season—will likely emerge from Week 17 with 36 points. 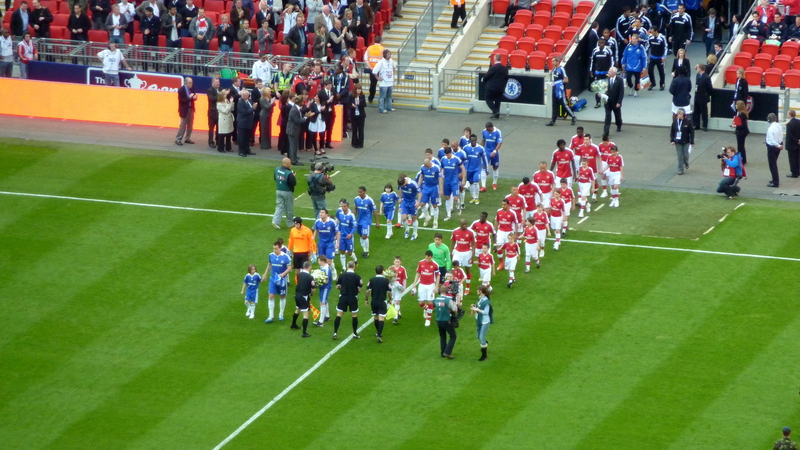 The real question is whether or not Chelsea can pull off the slight upset at Emirates Stadium on Monday. Arsenal are favourites according to the betting odds, but the edge is very slight at 13/10 for the Gunners and 11/5 for Chelsea. This means that this one is expected to be close. Indeed, Arsenal have fallen back down to Earth a bit after a scintillating run to start League play, and are arguably at their most vulnerable in about two months. Only time will tell, but stay tuned to the shifting odds and predictions along with the live score once the match begins. If Chelsea is able to pull off the win, it will be guaranteed at least a share of the league lead in points. Attention would then turn toward a Week 19 showdown with Liverpool, which would quite possibly be for the outright league lead. In summary, the action is about to heat up in the Premier League.